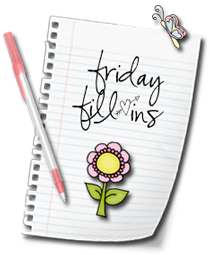 It's been ages since I had some fun with a Friday Fill-Ins post here at MPG! 1. I feel lazy to drop 900 EC today. 2. Posting a meme or a tag is always fun. 3. Right now, I can hear these things: my air purifier humming softly inside my office and my kids running around outside. 4. It's Finally Friday and I'm glad Monday is a holiday. 5. The last time I cried was right before my birthday. 6. I am so going to relax this long weekend. 7. And as for the weekend, tonight I'm looking forward to watching Weeds with B, tomorrow my plans include breaking our fast with MIL and Sunday, I want to do a little shopping! Aww.. so sad to hear you cried the day before your birthday.. hugs!! right before your birthday i mean!! Guest??? Shemah? Or Mon….. ?? hmmm.. monday holiday?? oh please please please.. lazy to send buddy to school!!! me too sad to hear you cried.. well, at least your birthday was all smiles kan kan kan?? Hugsy Marzie!!! Yeah Mon, for Selangor…. R working in Selangor or KL?? Weeds best la LJ, go MT tonight he he! hahahaha that was me, marzie!! my FF crash tadi.. then forgot to login again! LOL! hahahaha i don't even know what day it is.. what more to say when got public holiday. luckily J mentioned sembahyang jumaat just now. that's how i know it was friday. LOL! Haha. Mon also don't know. Ohhh Nuzul Quran.. alhamdullilah.. cuti!!! Yelah.. don't think about it again.. hugs!! Shemah, have u upgraded to the latest FF? I haven! GP.. kalau ikut rumah kan.. I KL tau..heheh no cuti.. lol! later when i go back to kk, i wanna watch! my bro has it all stored in his ps3.. but have to wait until the kids sleep.. the last time my bro watch, he tot buddy wouldn't know anything.. the next thing we knew.. buddy ask me if he can have "weeds".. he said "weeds is good".. LOL! i think he was only 3 or 4 that time!! yalor LJ i oso don't know Monday is a holiday hahah! I've been told it's good.. lol!! Have a great weekend with your MIL and enjoy shopping on sunday! I AM GLAD TO BE HERE ONCE AGAIN. I LOVE THIS LAY OUT, VERY GIRLY. BTW I HAVE A TAG FOR U HERE SIS AT http://www.mymoods.net/2009/09/strengthen-friendship-award.html, I HOPE YOU WILL POST IT, THANKS. Alhamdulillah besok cuti woo hooo! Actually I oso forgot abt the holiday until B reminded me he he! got season 6 ah? my friend told me until season 5 only? Thanks sweetie, lucky tomo holiday, still got many things to do here…. aiyoo whole day no internet!! I’m back Mon he he! Heartpain la the whole day couldn drop hohoho! U os haven dropped Mon?? I dropped on important blogs edi though!